Restorative dentistry is defined as “diagnosis and integrated management of oral health problems, to reinstate function and aesthetics.” What does that really mean to you, the dental patient? It means that Dr. Vickii Bingham-Lester provides treatments and technologies to restore your stunning, healthy smile. Trauma – You could suffer a cracked or broken tooth from an automobile accident, a fall on the ice, or a sports mishap. You might simply bite down on a hard bit of food, or have a latent cavity that causes your tooth to break. Dr. Bingham-Lester will have you smiling and chewing again in no time. Bonding is an economical means to repair chips and small areas of breakage or decay. More substantial trauma may warrant a CEREC® crown. If damage has compromised the pulp and nerves of the tooth, endodontic treatment (a root canal) may be in order. Missing teeth – A congenitally missing tooth (one that never emerges), or a tooth lost to extraction, trauma, or gum disease, impacts your entire mouth. Remaining teeth shift out of position resulting in unusual wear and creating food traps that lead to cavities and gum disease. Dr. Bingham-Lester restores gaps from missing teeth with crown and bridge units and dental implants. A bridge holds an artificial tooth (or several) attached to crowns on adjacent teeth. 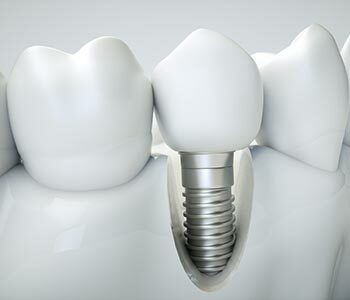 A dental implant is a tiny screw made of biocompatible titanium. It is inserted into the position of the root at the site of the missing tooth, acting as a root to hold a crown. Hence, implants have become the most “tooth-like” restorative option for missing teeth. Dentures may be a good choice for multiple missing teeth. A partial denture is a removable prosthetic that holds one or several artificial teeth, fitting around existing dentition. 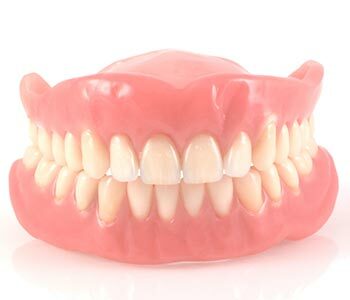 A full denture replaces all of the teeth in your upper or lower arch, or both. We are the family practice that patients from Gambrills and all over Ann Arundel County trust to restore their smiles. Gum disease – Periodontitis is the leading cause of tooth loss globally. In addition, bacteria that cause gum disease are linked to grave health conditions including increased risk of heart attack and stroke, cardiovascular disease, premature birth, and Alzheimer’s disease. Dr. Bingham-Lester provides treatments like scaling and root planing to restore gum health, and bone grafts to regenerate bone lost to advanced gum disease. TMJ/TMD – The discomfort caused by problems with the temporomandibular joint is real, and it causes significant physical and emotional stress. A custom-fitted night guard can bring the jaw into balance for relief of TMD. You will find more detail about restoration procedures offered at Bingham-Lester Dentistry by visiting the other pages of our website. We are the family practice that patients from Gambrills and all over Ann Arundel County trust to restore their smiles. Elizabeth Vogel " My family and I have been going here for years. We love coming here. The staff is amazing and wonderful. Very welcoming and relaxing atmosphere. Warm welcoming when you walk through the door. I highly recommend Bingham-Lester dentistry"